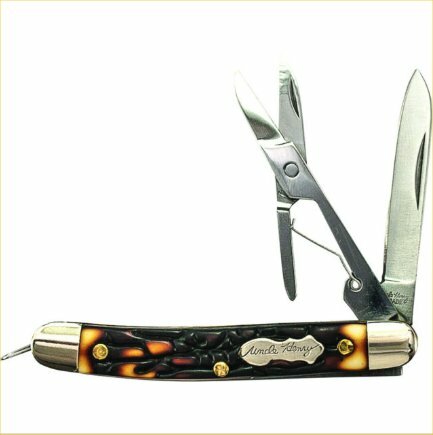 Features: Nickel Silver Bolsters, Brass Pins, And Heat Treated Back Springs, and Shackle. ABOUT SCHRADE ... The Schrade Brand has been the Largest Selling Knife and Cutlery Brand in the USA since 1904.